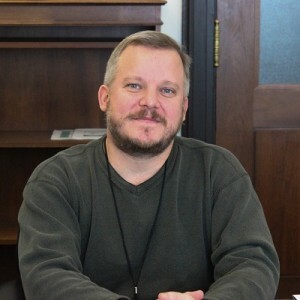 Greg Godbout is the Chief Technology Officer and U.S. Digital Service lead at the Environmental Protection Agency (EPA). MeriTalk: What is the EPA working on in IT right now? Greg Godbout: The reason I came here is because the plan was to take a holistic view of, really, what I would call mission IT: the idea that IT is an incredibly important part of the mission, but, in and of itself, it’s not its own thing. It should be a part, just as acquisitions is, and hiring, and all those things. We’ve taken a very enterprise view of transformation across the whole enterprise to align with user-centered design practices and agile practices that could be conceived as IT, but they’re also just as good business practices as well. By aligning all of those groups, and all of our policy and all of our governance around the digital services movement sort of theme, it’s actually easier to make IT improvements, when you’re changing the ecosystem that you’re in as opposed to just fixing one project at a time. MeriTalk: How is cloud computing affecting your agency and its plans? GG: There’s a future vision state that we have of spending our resources to be a more adaptive agency. In the IT space, we need to be more iterative and agile and modular, so that we can be adaptive. I don’t know how to do that without the cloud. I think what a true, elastic, and scalable cloud has brought to the table is an ability to buy as you need and scale and be flexible. And it’s one of the 20 really important things to get to a DevOps [Development Operations] environment. You can’t skip it. You have to have that truly scalable and elastic cloud model to get there. MeriTalk: How is that process going for you guys? GG: I think it’s moving along well, but it should be going much faster. I think that, of all the innovations that have to occur for us to be more responsive and adaptive, the true cloud environment is disruptive to how government agencies work in general. And because it’s so disruptive, it’s a little more of a challenge to make the leap, because you really have to change the way you think of infrastructure. It’s become a utility. I’m sure, at some point, someone used to power heat in the buildings: If you’re in OMB you can see fireplaces. That was literally how they powered the heat. Now heat is just a utility. We have it; we click in and get the power. So this is the same thing. You get this cloud hosting these platforms, which have become part of the utility nature. And that’s true at the platform, infrastructure, or software-as-a-service layer. It just allows easier access to these things. MeriTalk: How is FITARA affecting your job and the work you’re doing? GG: FITARA is intricately woven into it. I sit inside the CIO’s office, which we call the Office of Environmental Information, and I, myself, you could say, have delegated authority. But I, myself, do the FITARA reviews around anything software or cloud-based to make sure they’re aligned with driving to the transformational change we need across the agency. And also, FITARA allows us a great set of meetings that allows you to get the business and the IT side and the acquisitions side totally aligned. I guess, conceivably, that could be done without FITARA, but FITARA makes that easier. We’re using FITARA as the main mechanism in which we help enforce this change. MeriTalk: What project are you working on right now that you’re most passionate about? GG: We have a challenge that’s going to be a Smart Cities Challenge. The reason this one excites me the most, is that it’s part of our Smart Cities initiative here and where we’re sort of evolving to. But I do believe the future is some sort of combination of big data analytics, Internet of Things, and crowdsourcing science. From an IT support standpoint, when I imagine what that world will be like, it will be thousands of sensors. Orders of magnitude greater of data coming in. And some of it will be video data and other types, not just classic structured data. When I think of OEI [Office of Environmental Information] and driving to mission IT, we have to fundamentally change everything we think about storage, and hosting, and being adaptive for this new environment. It’s not just to deal with today, but, right around the corner, a more open and transparent world where we can combine data sets from outside government, and consume them properly with data sets in here. In this Smart Cities Challenge, we’re going to ask some cities to put in some air sensors, a lot of them. It’s our first look at our IT capacity: What do we need to build our services to be like to be able to exist in that world? I don’t mean us hosting the data, because that’s not really what’s going to happen. It’s just that the data will exist, and we can consume it too. What does that change about the way we think? I feel like, for EPA in particular, one noticeable change will be becoming increasingly more dependent on data scientists versus software developers. I think data scientists will sort of be like the career of the future from an IT standpoint.